Gionee India didn’t get much success with previous S series phone S5.5 & S5.1. The device was slim but suffered with many problems. Gionee tried to solve the all those problems with Gionee S7. Gionee S7 has 5.2” Full HD AMOLED Display, 64 bit 1.6 GHz Octa-core Mediatek processor with 2GB of RAM and comes Android 5.0 Lollipop out of the box. Q: Tell me, how about the build quality. A: The rectangular shape is surrounded by a dual U shaped metal rim. The phone built with an aluminium magnesium alloy which makes the phone lightweight and durable in quality. The phone build quality is further improved with Gorilla Glass panels on both the front and rear. Q: What about buttons and port? A: On right, you’ll find Volume button and power. 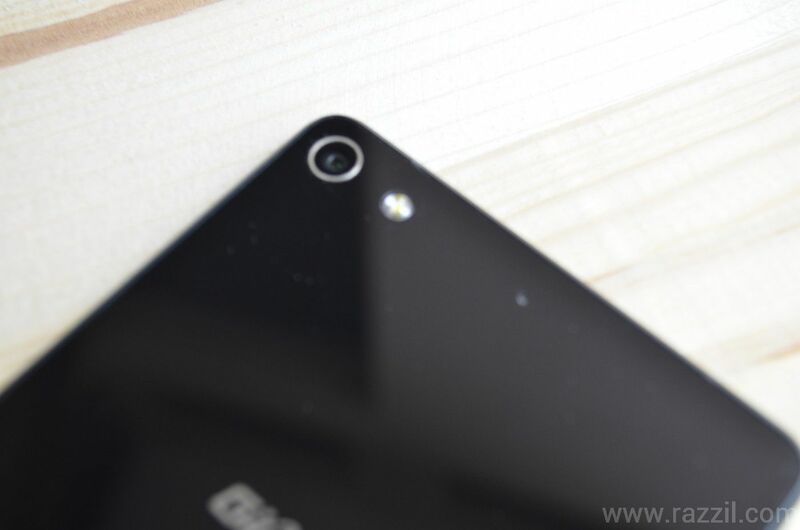 The MicroUSB port, mic and 3.5 mm port is on the rear. The SIM Card slot is on the left, you’ve to eject the SIM tray. The S7 support dual SIM. Q: How comfortable to hold that slim device? 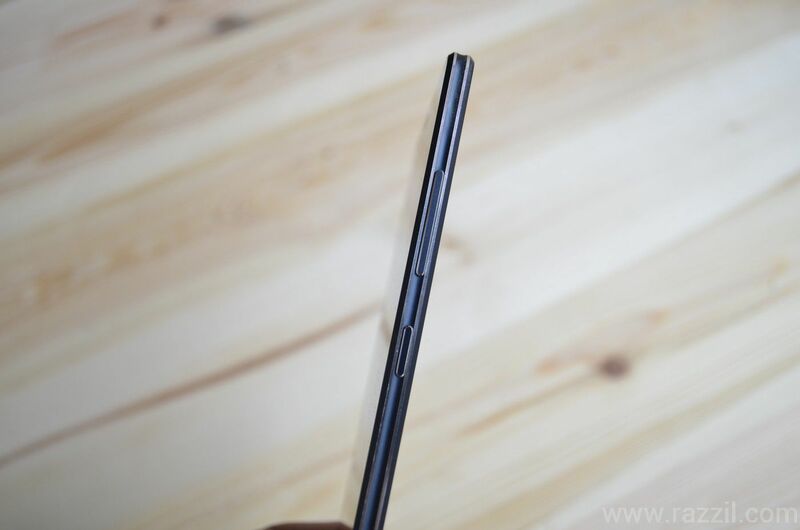 A: The S6 is just 5.5 mm thick and weighs only 126.5 gms. The biggest problem we faced with slim device is too unfit to hold because of edgy sides and we have seen similar problems in S5.5 & 5.1. 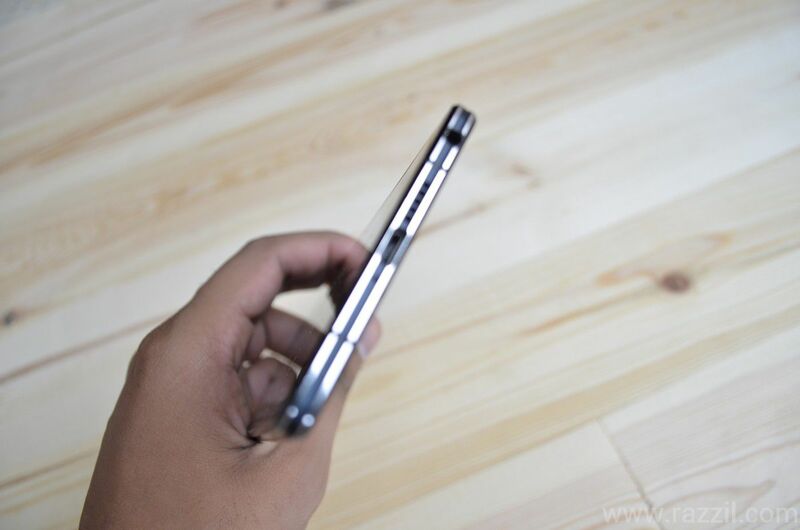 But company improvement in S7, because of dual US shaped metal rim, you can comfortably hold the device in your hand. The Gionee Elife S7 comes with a 5.2” Super AMOLED Full HD Display with 424 PPI protected with Corning Gorilla Glass 3. A: The S7 is using AMOLED display by Samsung and it does the job pretty well in reflecting true colors. The viewing angles are also good and so is the sunlight readability in appropriate brightness settings. Q: Screen is prone to fingerprints? A: Yes, the display is prone to attract fingerprints and you’ve to clean up regularly. 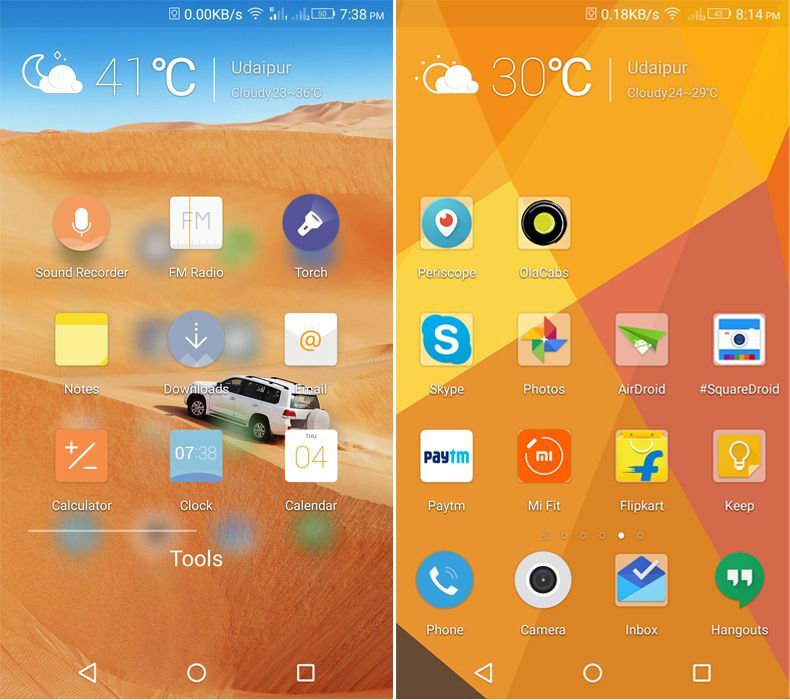 Gionee S7 is powered by Android 5.0 Lollipop with Amigo UI 3.0 on top. The company said the Amigo OS is baked and ready to server smooth UX to user but I DISAGREE. Q: How beautiful is the Amigo 3.0? A: The company has improved the Amigo UI a lot, now colors, fonts, icons look very professional. Q: What is Chameleon feature? A: The app will let you choose your theme color via the camera. The app will grab the three colors from the subject and paint it the overall UI with the mix of those colors. For me, this feature did the fantastic work. Q: Anything changes in Notification center? 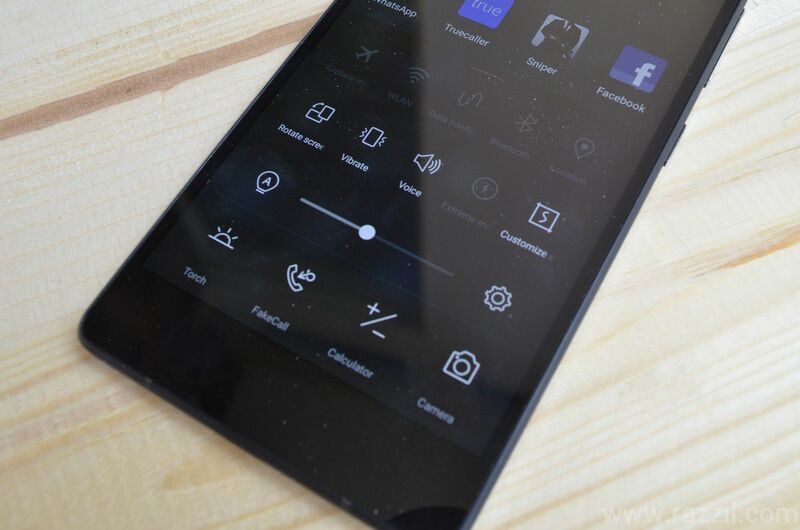 A: Yes, Gionee completely revamped the Notification center. 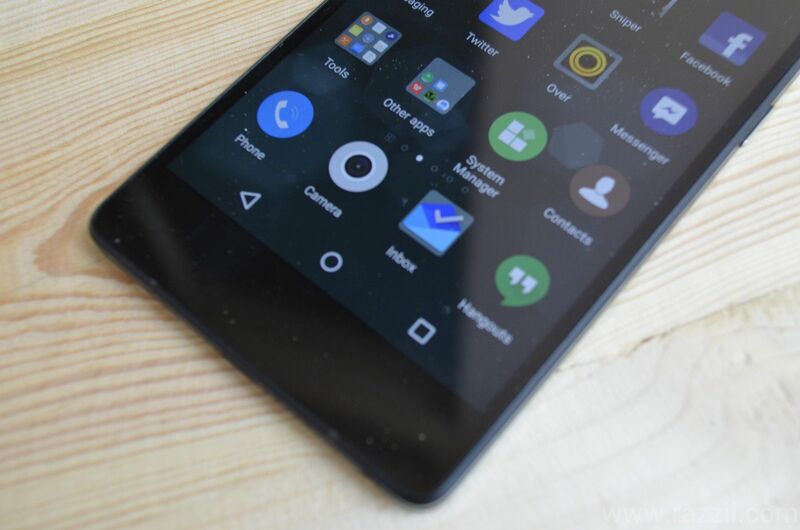 If you’re coming from another android Smartphone then you’ll Notification center confusing. The drop down notification panel will show only notifications, no quick toggle screen. 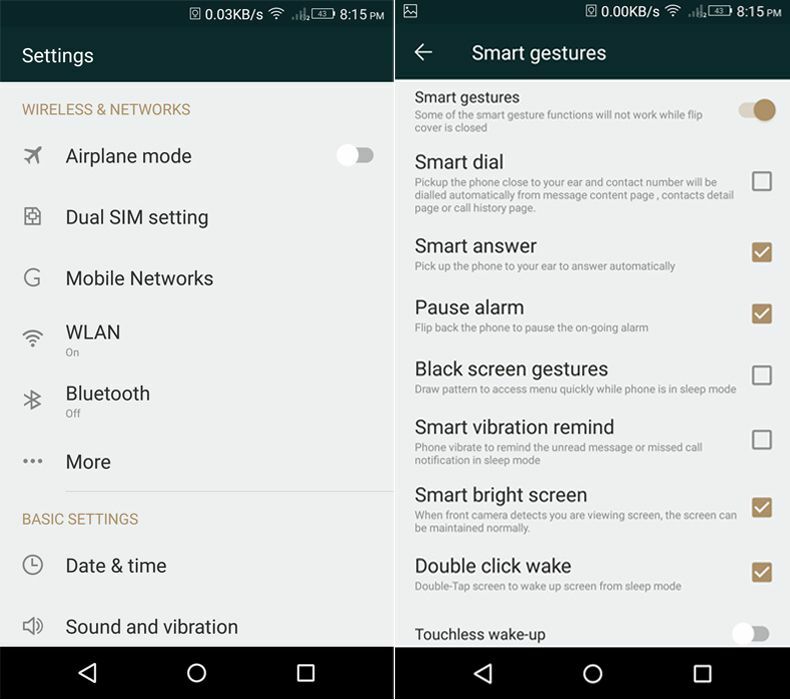 To access the quick toggles you’ve to swipe up from the bottom of the screen. Notification Center change is confusing & unnecessary. Q: How’s the performance of Amigo UI? A: Terrible! For a few weeks, the phone performance has been very responsive, but as you begin installing more n more apps. The phone suddenly feels terribly slow and noticeable lag can be found in almost every department. Currently on my device only 300 MB RAM is available for user rest are occupied. Q: How’s the Gaming performance? A: Just like phone performance, the S7 failed to deliver the lag free gaming performance. Even in the medium range game, the phone failed to throttle. Q: Any smart features in Amigo UI? A: Yes, the phone comes with some smart features like double tap to wake and sleep, smart answer, smart gestures, Air gesture, Touchless desktop control, image browsing & video control. All these features work pretty well. 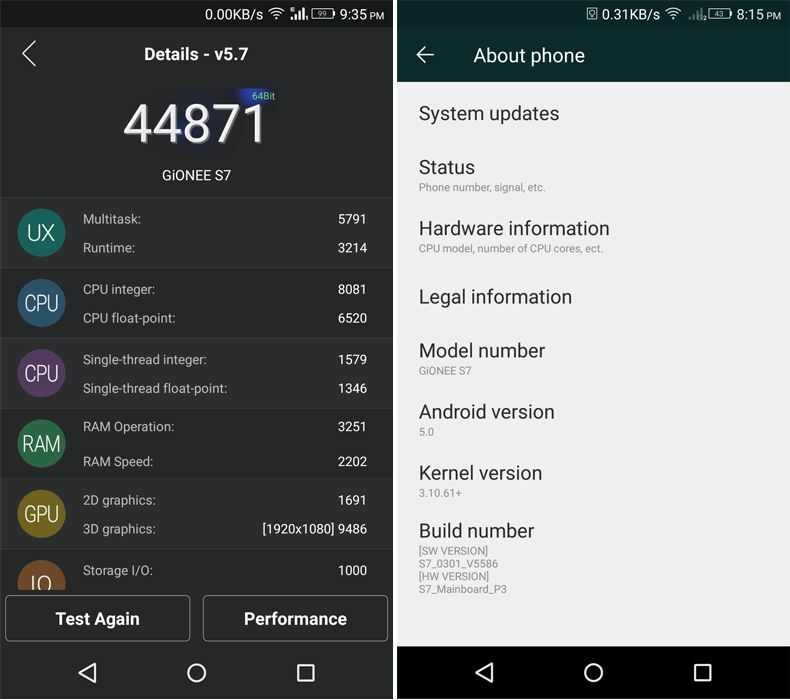 Gionee S7 is powered by 1.7 GHz Octa-core 64-bit MediaTek MTK 6752 processor mated with 2GB of RAM. 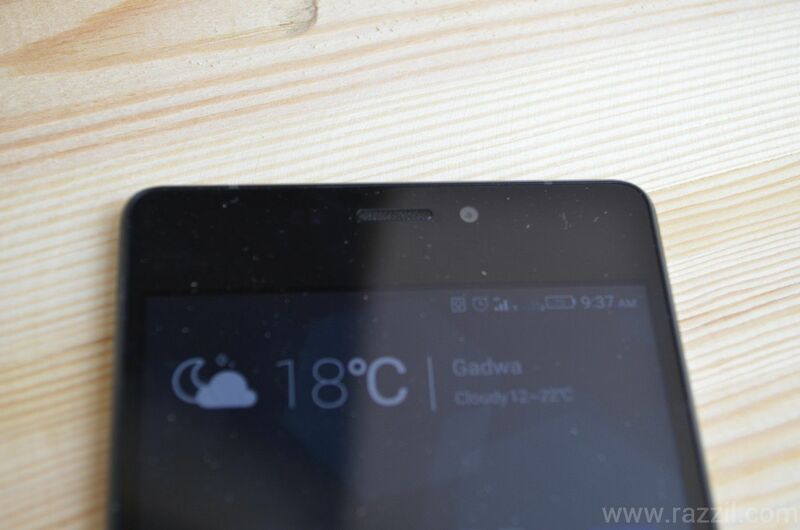 The phone comes with 16GB internal storage and no option for MicroSD card slot. A: Frankly speaking, I’m not a big fan of MediaTek processor they fail to give the up to the mark power even they show huge bumps in benchmark tests. The phone lags in day to day task. A: The S7 did a pretty good job in managing heat as compared to its previous slim device S5.5. The phone heat up only when you’re playing a game which we can understand. But in day to day task, phone managed to keep it cool. A: Yes, the phone comes with 4G support and it works well with the Indian 4G Network. The Gionee S7 features a 13MP rear camera with LED flash and 8MP front camera. The phone capable to record Full HD videos. Q: How’s the Camera performance? A: The camera performance is quite good except when your phone facing software lag as I told you above. Q: How’s the rear camera result? A: The rear camera did the splendid job in taking photos. Phone produce splendid output in color reproduction, less noise and better exposure. In daylight, the phone did the awesome job but it falls short in the night time. Q: What camera modes comes with the app? A: The phone comes with the Professional, Face Beauty, Take anytime, Magic Focus, HDR, Panorama & Night mode. Professional mode: In this mode, you can control White Balance, Shutter Speed, Focus, Exposure & ISO. Experience photographer can use this feature to produce splendid pics. Face beauty: It’ll smoothen the human scene. Magic Focus: In this mode, you can set the focus on the subject and blur the rest of the part. You can change the focus after clicking the photos. Q: How’s the front camera? A: If you’re selfie lover then you’ll love the front camera. The shot produce from the phone is decent. Q: How’s the Battery Life in average use? A: The phone comes with 2700 mAh batteries and the performance of phone battery is quite good with average use. In average use the phone easily reaches through a day. 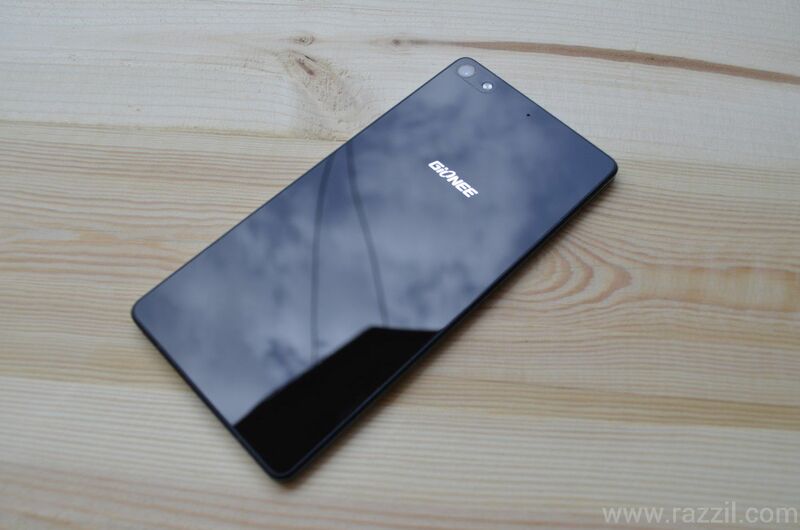 Gionee Elife S7 is a sweet device when it comes to power, battery life, design and camera. But device facing tough competition in that price segment. OnePlus 2 is the biggest competitor. The device lack in software, storage & RAM management. If you want a stylish phone with good camera & battery life and also don’t want to buy online, then Gionee Elife S7 is the great choice. 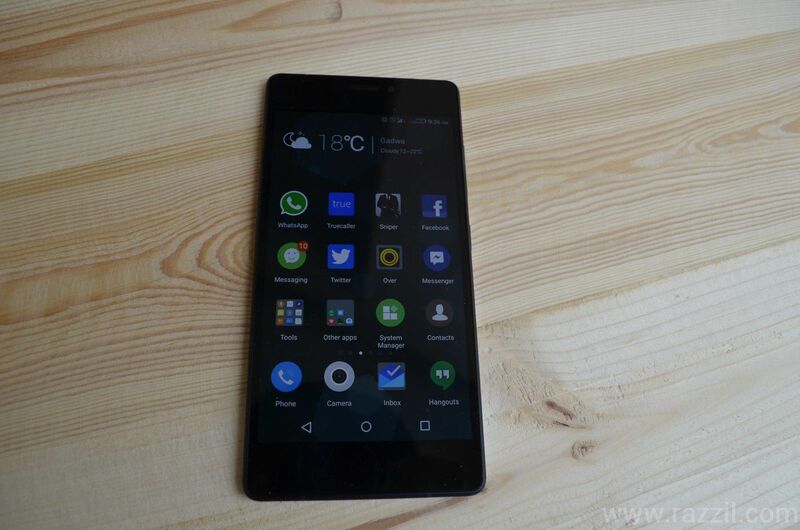 Gionee Elife S7 is a sweet device when it comes to power, battery life, design and camera. But device facing tough competition in that price segment.